In a recent issue of Biological Conservation, researchers Joshua J. Horns, Frederick R. Adler, and Çağan H. Şekercioğlu describe a novel approach for using eBird data in bird conservation, in an article entitled Using opportunistic citizen science data to estimate avian population trends. This study examines if the extensive records gathered by hobby birdwatchers can be used to determine changing trends in bird abundance. To investigate this question, the researchers compared trends in changing abundance over time calculated from two types of data: formal bird census data, which has long been considered the gold standard for determining population trends, and checklists of birds that have been gathered and submitted to eBird by birdwatchers. eBird, a large citizen science database organized and maintained by the Cornell Laboratory of Ornithology, currently contains over 26 million checklists of birds submitted by over 330,000 users. This study finds that trends produced by eBird data are almost identical to the trends produced by the bird census data, in terms of which bird species are increasing and decreasing, and the rates of population change. 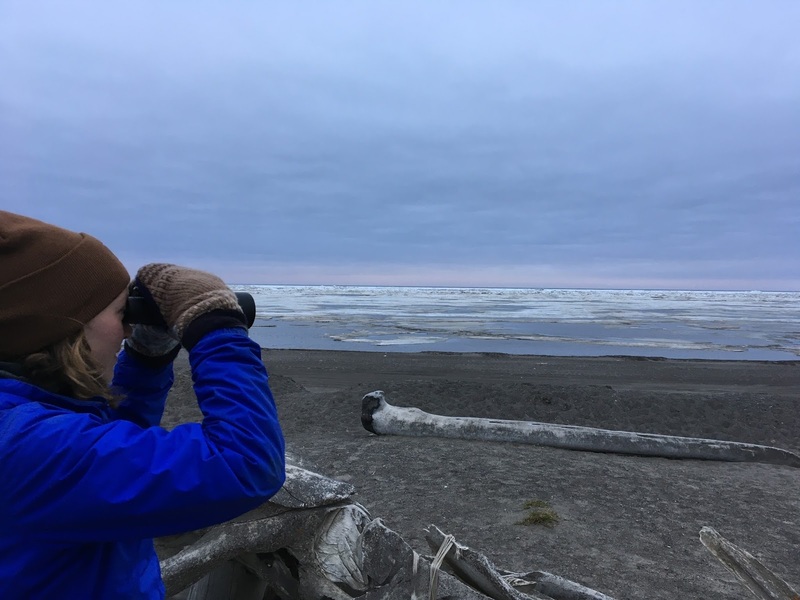 The researchers also conclude that estimating changes over time from eBird data is best suited for widespread species, and improves with greater numbers of checklists. This validated eBird approach could be particularly valuable in tropical countries that lack formal bird census programs, where checklist submissions are increasing rapidly. 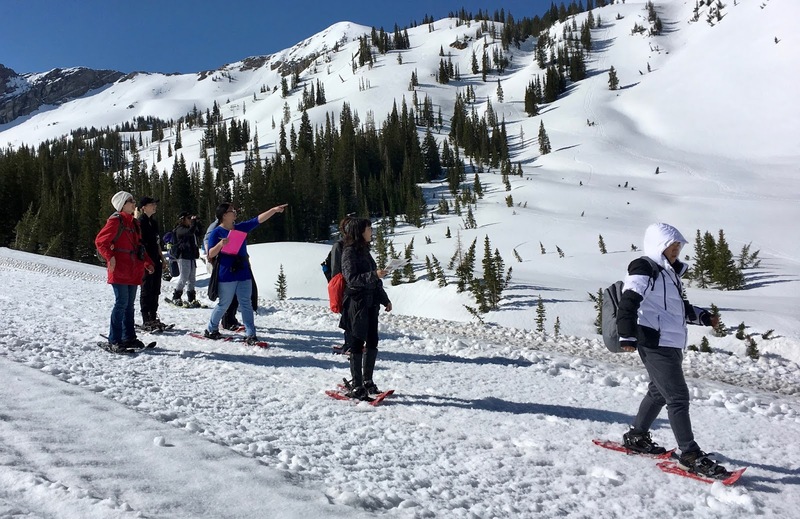 This study is a dramatic example of how well-designed, well-funded, and creatively analyzed citizen science programs can contribute to the science of conservation biology! During the 1980s and 1990s I used long-term forest plots in Malaysian Borneo to determine how so many tree species could co-exist in one place, and how many years forests took to recover from logging. Forest plots from across Borneo are now being combined to examine how the island’s forests are responding to climate change. The results have recently been published as an article in Nature Communications titled Long-term carbon sink in Borneo’s forests halted by drought and vulnerable to edge effects. Figure 1. 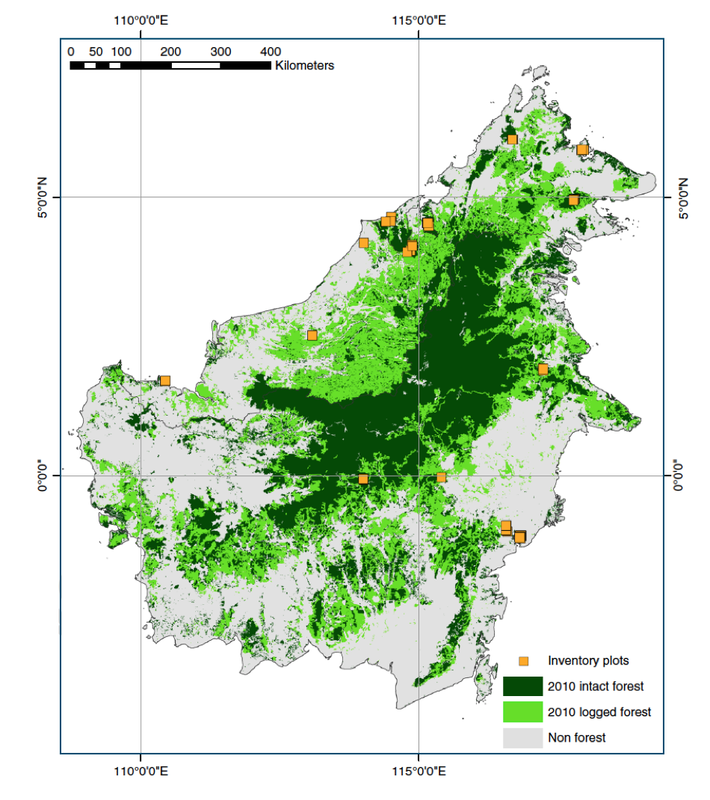 Changes in forest biomass in Borneo were studied using 71 long-term plots. 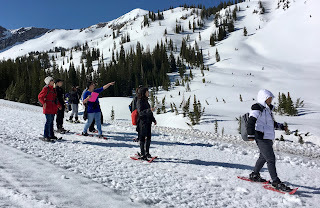 The main result is that these forests are gaining biomass, meaning they are out of equilibrium and are a net sink for atmospheric carbon dioxide. Figure 2. 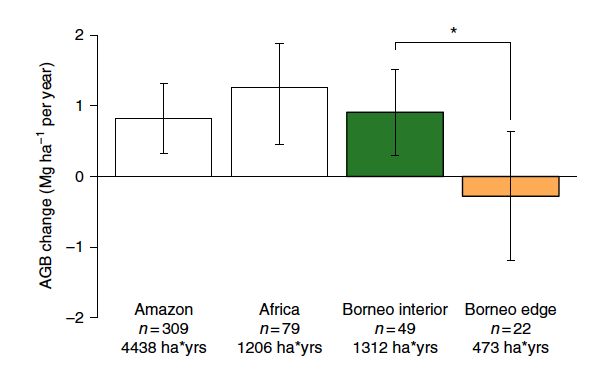 Forests in Borneo are showing a net increase in biomass over time in the forest interior; this has also been observed in the Amazon and in Africa. Forests on the edges of fragments are declining in biomass. Forest fragmentation from human activity has had negative effects as shown by the declining biomass of forests on the edges of fragments. Borneo’s forests are also vulnerable to the effects of climatic variation as a drought in 1997-1998 temporarily halted the increase in biomass and caused an increase in tree mortality. These forest plots will become more valuable in coming decades as a way of documenting the continued impacts of climate change.